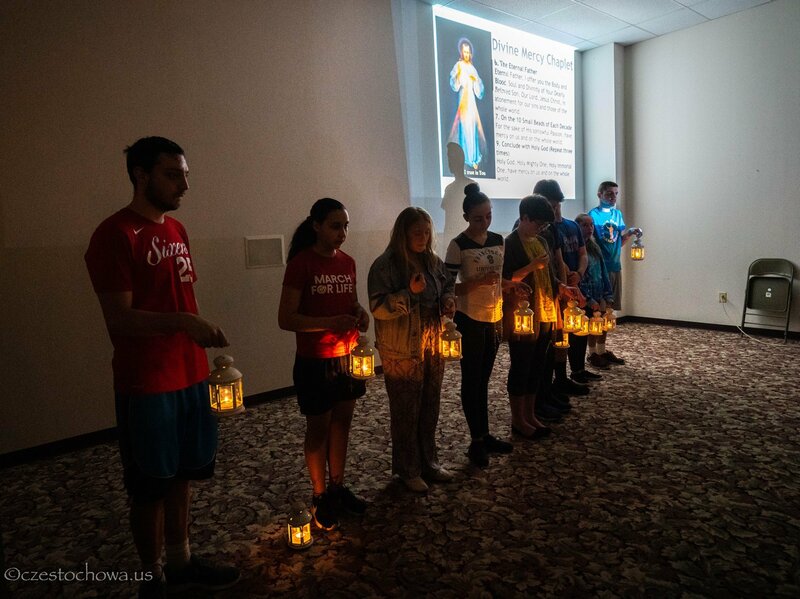 OLCZ Youth Group hosted a Pro-Life Night on Saturday, April 13th at the Shrine of Our Lady of Czestochowa. This event featured a a screening of the Gosnell movie, which is a very powerful film about Dr. Kermit Gosnell, an abortion doctor who is considered to be America’s biggest serial killer. Dr. Monique Ruberu, Pro-Life OBGYN, author and champion of the rights of the unborn was a guest speaker during this pro-life night. Dr. Monique shared her conversion story and how God worked in her life and in her marriage. She also spoke on 40 Days for Life initiative and sidewalk counseling. She also answered many questions regarding many medical aspects of abortion and pro-life movement. Many pro-life organizations were also present there to promote their work and resources to anyone interested. The evening ended with the Pro-Life Divine Mercy Chaplet led by teens from the Youth Group.